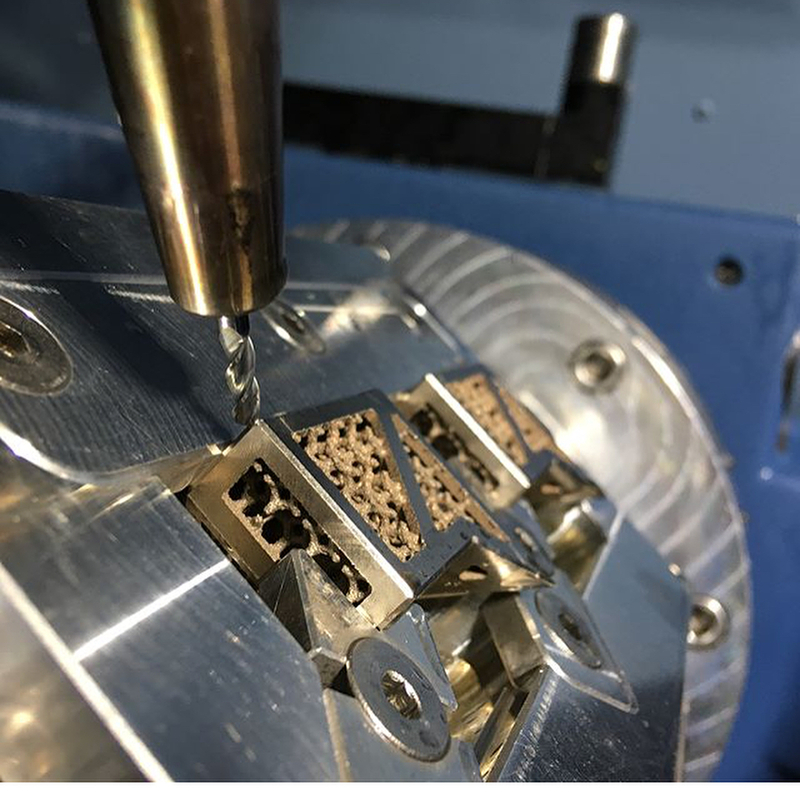 CAMplete TruePath – CAMplete Solutions INC.
Have you ever wondered why your tool paths look great in your CAM System but not on your milling machine? This is no longer something you have to consider, because with CAMplete TruePath the answer is clear. CAMplete TruePath bridges the gap between your CAM systems and your 5-axis machines. It provides everything needed to post process, verify and simulate 5-Axis tool paths in a 3D environment. CAMplete TruePath is an easy-to-use application that takes you from your CAM System to your machine efficiently and safely. Using toolpath data from all industry leading CAM Systems, TruePath’s customizable post-processor allows you to output your NC programs the way you need, with no on-machine editing required. 5-axis simulation, visualization and verification tools give you the confidence of knowing how your machine will behave before you run a single line of G-code. Don't Change Your Process, Improve it. CAMplete works closely with CAM companies, their applications engineers and end users to ensure compadibility. Most CAM Systems are supported through their native APT or CL output. Getting your CAD models into CAMplete is no problem using industry standard IGES and STL formats. CAMplete TruePath is the ultimate post processor. It’s easy to switch between different CAM Systems or combine tool paths from different CAM systems in a single project. Just select your milling machine and NC Format; all your G-Code format is output in a consistent unified format regardless of how you started. TruePath works very closely with the machine builder to ensure that you are working in a familiar enviroment, as close as possible to what the machine presents to the user. CAMplete works closely with the builder, with exclusive machine models built exclusively from their original design data. These highly detailed and fully integrated machine models give you 100 percent confidence in your simulation. CAMplete TruePath is the ultimate post processor. It’s easy to switch between different CAM Systems or combine tool paths from different CAM Systems in a single project. Implementing TruePath in your shop gives you a proven post processor with standard formats developed in conjunction with your machine tool builder so you can get started on day one. CAMplete TruePath comes ready to go with all software options from day one. No unexpected costs from options or add-ons, a complete solution ready to go when you receive your machine. At CAMplete we understand what it takes to make chips the right way. Whether it is for lights out high volume production or single piece prototyping work, and everything in between, we have you covered. Unsure about a tricky move? TruePath allows the user to precisely examine all points of motion, even between programmed points, ensuring completely accurate protection of your machine. Machine Collision detection uses highly detailed milling machine models direct from the manufacturers to ensure accuracy. CAMplete works closely with machine tool vendors, many popular add-ons can be added to your model for greater accuracy. Detect any possible part defects and analyze toolpath motion. Feel confident in knowing what your machine will do and how it will move before you run the program on the machine. Remove the problems and implementation costs that come with developing a post processor for each of your CAM Systems and focus on getting the machine cutting. Implementing TruePath in your shop gives you a proven post processor with models built in conjunction with your Machine Builder, so you can get the most out of your machine from day one. Machine Simulation and verification detects collisions and near-misses between all machine tool components such as tables, spindles, tool changers, fixtures, work pieces and cutting tools. This ensures total safety of your equipment before even running a single line of code. Accurately ensure that the toolpath you have created will give you the part you expect to see. G-code will produce, to help detect difference. Leverage your skills and control exactly how you want to make your part. TruePath gives you an unprecedented level of control over your programs. We understand that you need to make chips and not troubleshoot software. Control your exact machine tool motion, independently of the CAM system used to create the toolpath, and determine what works best for you. Because TruePath generates your G-Code, it can take your proven program and make it run on another machine, even with different Kinematics or controllers. Crashes on machines can cost tens of thousands of dollars in technician fees, implementation and downtime. TruePath detects potential crashes, near-crashes, over-travels and set-up errors, which are then identified and removed before machining your parts. TruePath pays for itself on the 1st virtual crash. Dedicated support from both your machine specialists through your machine tool dealer and software specialists through CAMplete Solutions. "I don't have to buy a bigger machine to run a part that most people would think was impossible on this size machine. We are completing projects that even the people at the machine suppliers believed would not fit in the machine." "On the first day of training we were running 5-axis simultaneous tool paths, never had I thought that would be possible coming from CAM Software to a brand-new machine on your floor." "Without TruePath we would have certainly have had horrendous crashes, we haven't had any collisions in over 3000 hours of run time." "We used every square inch of the machine and it let us. TruePath knew where our limits were, allowing us to get right up to them, without having to hold back or worry about crashes." Production Engineer at F&L Tools Corp. Unlike most software companies, CAMplete partners directly with the machine builder. In doing this, we are able to provide you with a proven and robust post processing and verification solution built from the builders original design data. For information on the full range of CNC machine partners supported by CAMplete check out our Machine Partners. I Don't See My Machine Supported, What Can I do? CAMplete works directly with industry leading machine tool builders using their original design data, to ensure what you receive is proven and ready to go from day one. If you don’t see your machine listed, contact us directly and we’ll discuss your options. Will My CAM System Work? CAMplete works with most of the industry leading CAM Systems on the market. For information on the full range of supported CAM Systems, check out the Supported CAM Systems page. Do I Need to Buy A Post Processor For My CAM System? No. CAMplete provides everything needed to take you from your CAM System to your 5-Axis Machine safely and efficiently. 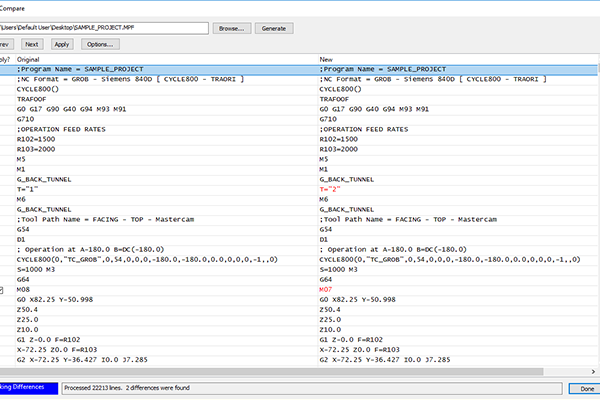 With TruePath you can easily create and edit unlimited custom G-Code formats and apply them to any project. Making changes to your post is as easy as dragging and dropping code exactly where you want it. Does My Post Processor Work With Multiple CAM Systems? Yes. With CAMplete TruePath it is easy to switch between different CAM Systems or combine tool paths from different CAM Systems into a single project. Just select your milling machine and NC Format; all your G-Code is output in a consistent unified format regardless of how you started. My CAM System Has Simulation, Why Do I Need This? You need to compare apples to apples. To have a real representation of your process, you need to consider all the elements of your projects such as your part, fixture, stock, tools, holders and ultimately understand how your machine truly behaves. TruePath’s verification engine is built directly within the post engine, so that what you check and see on the screen is the real motion of your machine specified by the G-Code. When used together, you can focus on making the best tool paths in your CAM system, and TruePath will make sure they work as intended at the machine. What Is The Downtime Associated? Because of our pre-existing relationships with machine builders, your post processor and verification solution is ready when you are. TruePath removes the problems and implementation costs that come from developing a post processor for each one of your CAM Systems and lets you focus on getting the machine cutting. How Is The Software Supported? Training through our “Getting Started” video series and remote support are included with the purchase of TruePath to help you get started the right way. How Much Does CAMplete TruePath Cost? When taking into consideration the cost of a traditional post processor and the prove out time associated, purchasing a proven and robust post like CAMplete TruePath is an affordable alternative that gets you started the right way. These cost savings don’t even take into consideration the savings provided by full G-Code verification. TruePath detects potential crashes, near-crashes, over-travels and set-up errors, before running a single line of code on your machine and brings you that piece of mind. Machine crashes cost tens of thousands of dollars in technician fees, implementation and downtime, whereas Truepath pays for itself on the 1st virtual crash. Because TruePath is specifically tailored to each machine partner, reach out to your machine tool vendor to learn more about pricing, or contact us directly. Smart users need software tools that work as hard as they do to get the most out of their 5-axis machines. When there are no small mistakes, you need to know that the part you’re making is the part you designed. CAMplete TruePath can give you more than just peace of mind in knowing what will happen on your machine. At CAMplete we work with Fortune 10 companies and one-man job shops. We believe that if we can work for them, we can work for you. Although CAMplete TruePath is our Flagship product, CAMplete offers other software solutions to our customers, allowing them to get the most out of all of their machining centers. Learn more about the other products we off below.